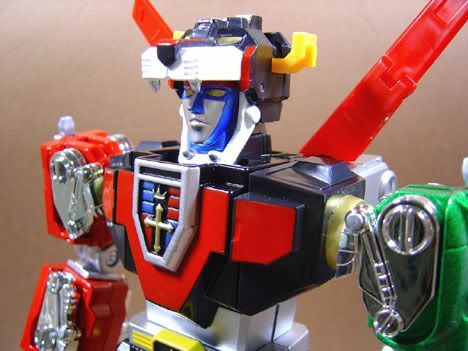 Hi all, here's a short review of the MPC Toynami Voltron. First off, The box comes with an outer white shipping box. But be sure to double check the number on top of the white box to see if it matches with the number on the certificate inside and on the Black Lion's chin(yes the number is printed under it's chin as well..go figure). For some strange reason mine has the number #01323 of 15,000 on the white box, but has the #01333 on the toy and the certificate.. must've been a factory mix-up.. sigh.. The inner box is in classic "Toynami-style" Hardcover Book-styled packaging. With 2 trays inside. Top tray has Black, Green. Red Lions and the shield, while lower tray has Blue and Yellow Lions and the Sword. -Lots of diecast! 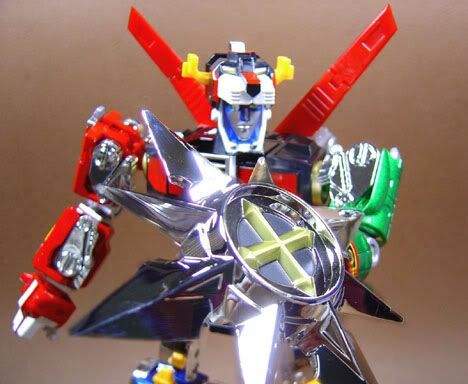 Impressively almost 80-90% of the toy is metal. -Great paint detail. No bleeds and the chest emblem is engraved and not just a sticker. 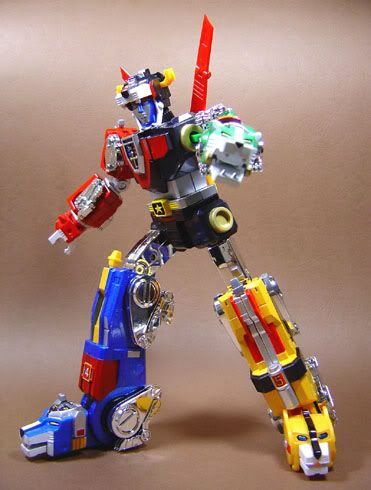 -has multiple points of articulation and has ratchet joints on the knees, elbows and thighs. 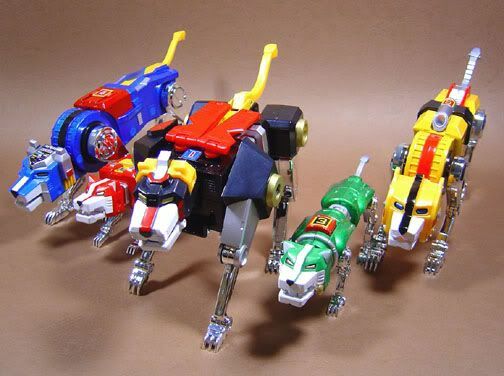 There's also a Balljoint in every Lion's neck. Nice. -The proportions are just right. I didn't find it to be skinny at all. In fact, comparing it to the Godaikin(note: the toy in the pic is a diecast Taiwan bootleg of the old Godaikin. But it's essentially the same as the original) the Godaikin now looks "chubby" to me. 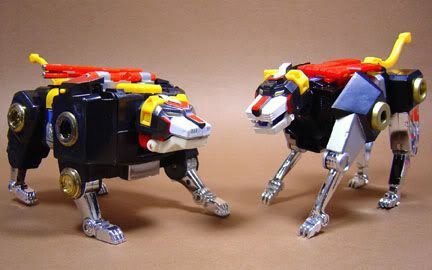 -The Black lion looks good. The proportions are a nice update from the old version. -plastic quality not so good. The worst of it is that the plastic parts are located at the con nection pegs of Green and Red lion and at the thigh joints of Volton. 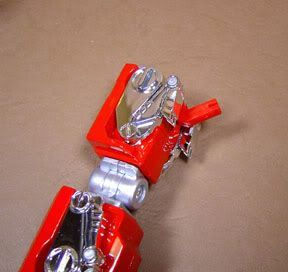 The peg reminds me of the ones used on old TF G1 Superion, when the plastic ages there is a good chance it will go brittle and easily snap apart since it's such a small piece. The toy is definitely not intended for playwear. One should also remember to insert the connection peg ALL THE WAY IN.. I didn't realize this until Red Lion popped out and crashed on the table. I almost had a heart attack. -Yeeeesshh! 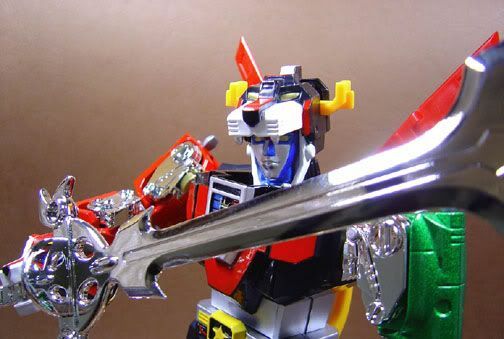 The puny wings on Voltron really look small. I wish they could've made the wings bigger and with better plastic and some added paint applications(it's missing the white paint on the wing panels). -Before handling the toy it's best to get a 3M wipe cloth and wipe down ALL the chrome parts. Strange but my unit had lots of faint smudges on the chrome. There was even a thumbprint on the BlackLion's thigh, which I couldn't remove. fortunately it's on the backside. 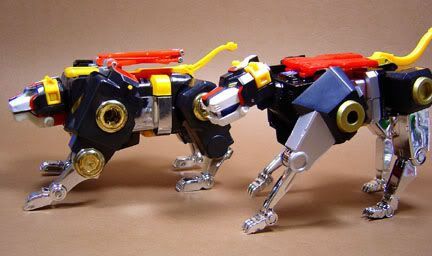 -Voltron has a waistjoint, unfortunately the BlackLion's tail pops out when move it. 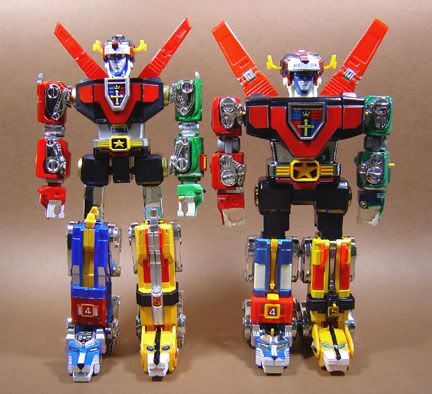 I prefer the MPC Voltron over the SOC Zambot3. 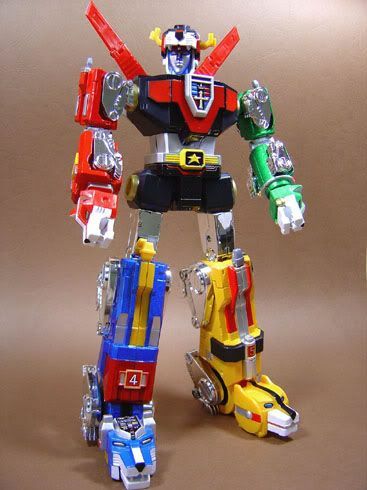 Sure the Zambot had a lot of weapons, accessories, but when it gets down to the bots themselves, Voltron is taller, has more diecast, chromed, and has more articulation(I really hated the fact that the Zambot couldn't move from the waist down). BTW there was a rumor that Toynami only made 5,000pieces for now, and will make the following 10,000 only when the first batch gets sold out. Although I have no idea if this is true or not.